Sporty’s test pilots search high and low for the best pilot supplies available, and when we can’t find a product that meets our stringent standards, we develop one that does. Sporty’s offers a huge selection of flight planning tools, instructional aids, chart accessories and more—the tools you use every day to plan flights, keep the cockpit organized and keep yourself ahead of the airplane. Many are tried-and-true classics that have proven to be effective cockpit resources for years, plus new products that we’ve developed, tested and approved for inclusion in Sporty’s Pilot Shop. Attention CFIs - purchase a Bose A20 Aviation Headset from Sporty's and receive a rebate from Bose! As pilots, we see some of the best views that the planet has to offer. From breath-taking sunrises and sunsets to mountain ranges and valley fog, there are many views worth capturing and sharing. But that’s only the half of it. First solos, passenger first flights and breakfast runs yield great footage too. Action cameras like the GoPro and Garmin VIRB are designed to record moments just like these; but you already knew that. Once you’ve bought a camera, what’s the best way to utilize all the features they have to offer? Here are my top 10 tips on what you should know so you never miss a moment of the action. 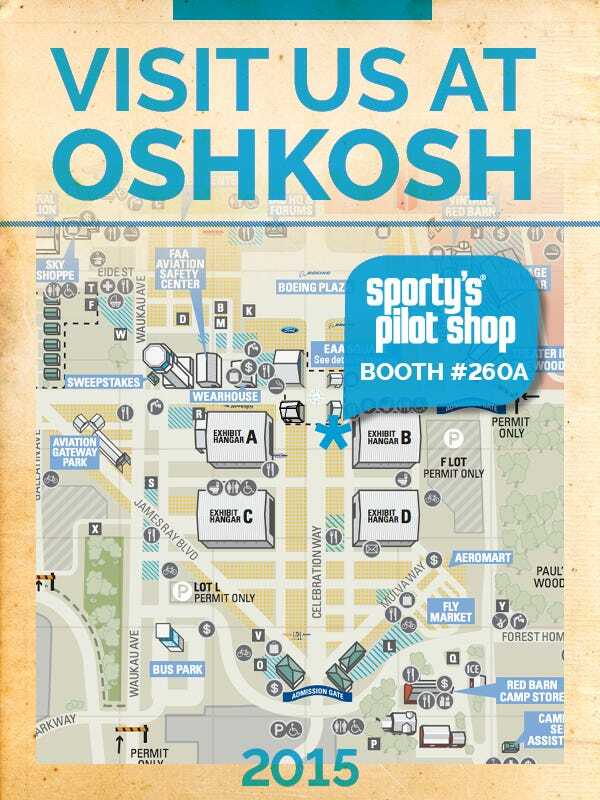 Sporty’s 1,600-square foot tent, just in front of Hangar B, is a must-visit for any pilot at Oshkosh. 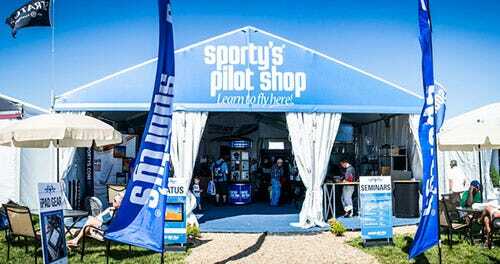 Inside you’ll find product experts, manufacturer’s representatives, flight instructors and fellow general aviation pilots all anxious to answer questions about the merchandise or just talk about airplanes. Visit our headset station to compare models side-by-side, or get your flight training questions answered. 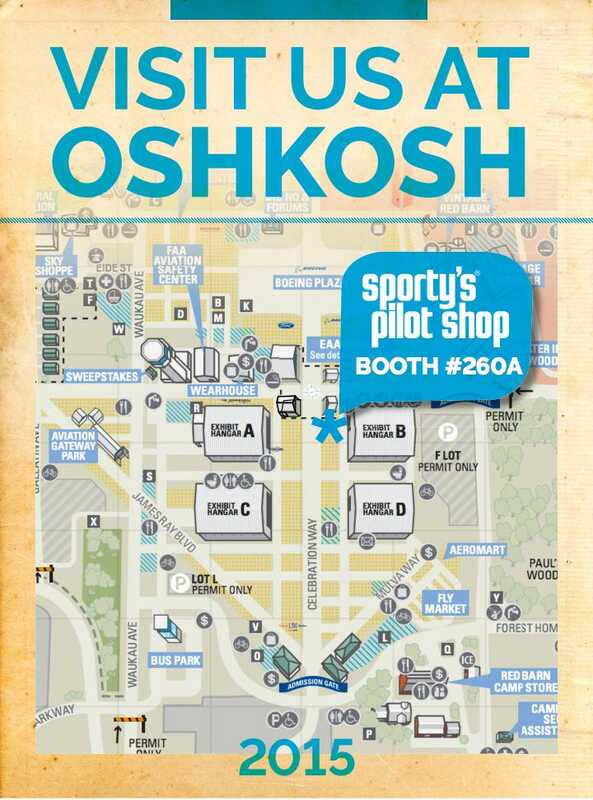 EAA’s annual fly-in/trade show/family reunion - officially called EAA AirVenture Oshkosh - is the highlight of the year for many pilots. 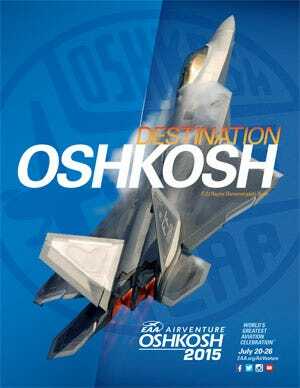 Over 10,000 airplanes and hundreds of thousands of aviation enthusiasts descend on KOSH for a week of incredible airshows, new technology demonstrations and great hangar flying. Many pilots have been attending for decades. If you’ve never been to the big show, it should be on your list. While some pilots are intimidated by all the other airplanes and the special procedures, it’s really not that hard. But like most things in aviation, preparation pays off. Is an in-the-ear headset right for you? 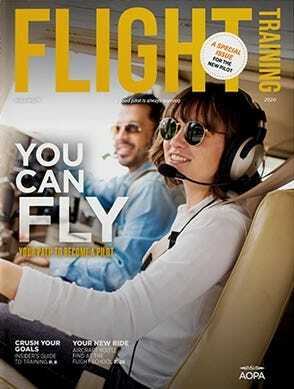 Many pilots chase the latest technology, from active noise reduction to Bluetooth audio. But while these headsets are impressive, there is another option: in-the-ear. Is this type of headset right for you? Aviation loves acronyms and long words, and unfortunately headsets are no different. 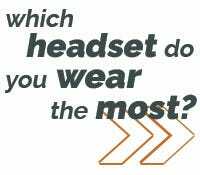 Here are some of the most common terms you'll encounter when shopping for a headset. Understanding what they mean can help you make the best decision. Buying a headset can be tricky but we're here to help. 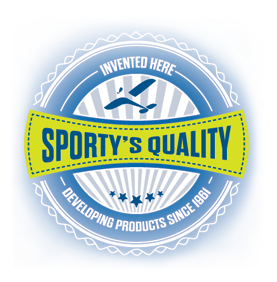 Sporty's has been selling headsets for over 50 years and in that time we've become the world's largest aviation headset dealer. We're pilots and we regularly fly with every brand we sell. Often times we get the question, "What's the difference between twin plugs and 6-pin connectors?" Or "Do I need a battery powered or aircraft powered headset?" I'm going to take you through differences of each connector so that when you select a headset you're confident that you chose the right type.